Summer is full of lots of fun activities, especially in cities like New York. If you want to spend time outside but still enjoy the comforts of good weather and A/C a yacht charter is a perfect solution. Not only is there a wonderful breeze from being on the water but there’s also air conditioning conveniently inside many of our ships. Plan an event for the entire family both young and old for brunch or a sunset cruise with dinner, you can even host your family reunion! You and your guests can expect five-star cuisine and dining options from buffet to sit down dining. Personal inspection of each charter yacht is a must prior to our representation of the vessel. That insures your comfort, safety and getting the right yacht for your event or vacation. 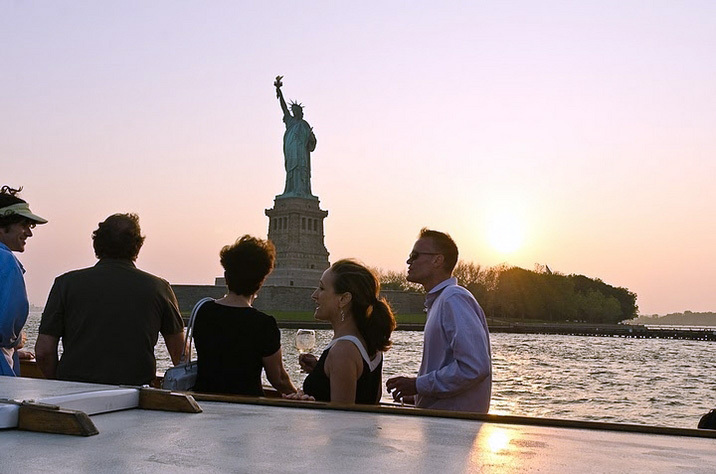 There’s no better way to see the sights in NYC over summer than on a boat. 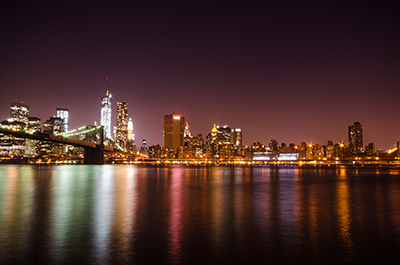 Nothing can compare to the panoramic sights from a NY yacht! Please contact us or call 203-637-0270 to help you organize your next seamlessly prepared, and perfectly executed yacht charter! 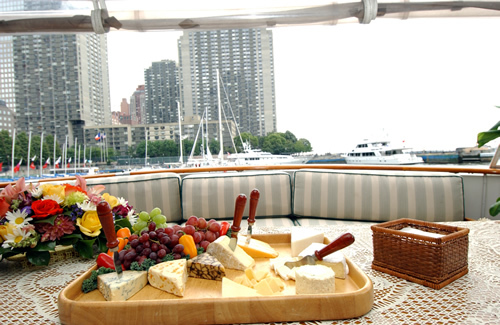 Host Your Next Event on a New York Yacht! Event planning can be chaotic and confusing, which is why Nautical Holidays is here to help you. Our professionals will help arrange everything you need in order to give you and your guests a memorable charter experience. Seeing the New York skyline from a luxury yacht is a truly unique way to view the cities sights. Imagine hosting your next event with a backdrop of the beautiful New York skyline! Our yachts can hold a range of guest sizes from one to over 600. 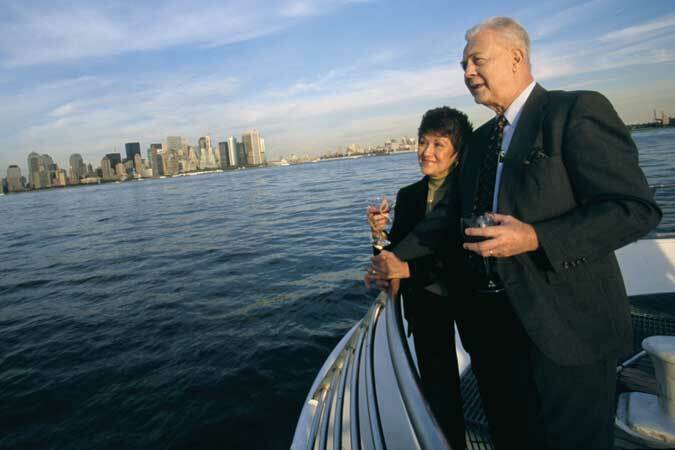 With spectacular views and various charter options, you can be sure that your event will be an extra special occasion. We can host any event such as corporate events, weddings, bar/bat mitzvahs, birthdays, and any holiday party! Some events in life are too important to shrug off. Charter one of our excellently decorated yachts to provide a remarkable experience for your guests. Our New York charter yachts are designed with entertainment and luxury in mind. We keep you out of hectic street traffic and onto the open water. Day or night, a combination of the Manhattan skyline and a charter ship creates a one-of-a-kind charter that is as impressive as they get. Contact our professionals here and book your next charter cruise today. Nothing says love and romance like a Valentine’s Day celebration on the water with the New York skyline in the background. Expect full views of the Brooklyn Bridge and the Empire State and Chrysler Buildings. Get cozy on one of the upper decks as the ship lingers at the Statue of Liberty, and sip champagne on the decks below while surrounded by the majestic Manhattan skyline towering over the New York Harbor. If you need help to make your evening of love sensational, we offer amazing event planning services. When you book a Charter Cruise with Nautical, you will discover how easy it is to save time and money by planning your evening with us. Enjoy exclusive dining and dancing with five-star cuisine and top-notch catering services. Creating a catering experience involves customization, so if you have a particular dish you want to be prepared, give us the recipe, our chefs enjoy a challenge. This unique setting is the perfect place to share an unforgettable experience with the one you love. Valentine’s Day only comes once a year, so spoil yourself and your companion. Contact us HERE to book a Valentine’s Day yacht charter. 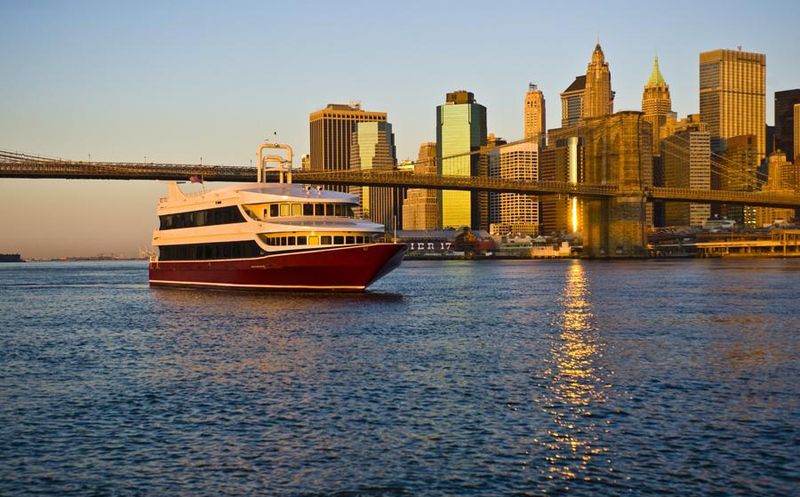 Enjoy the wonderful skyline of New York City aboard the Miss Lynni on a lavish harbor cruise. Sit back and experience surreal luxury and relaxation on your own private charter. This charter offers extreme comfort and ease for you and your guests. The yacht contains three staterooms and two settee berths. The Miss Lynni is 62 feet long and can hold groups from 2 to 12 people for the perfect intimate setting. 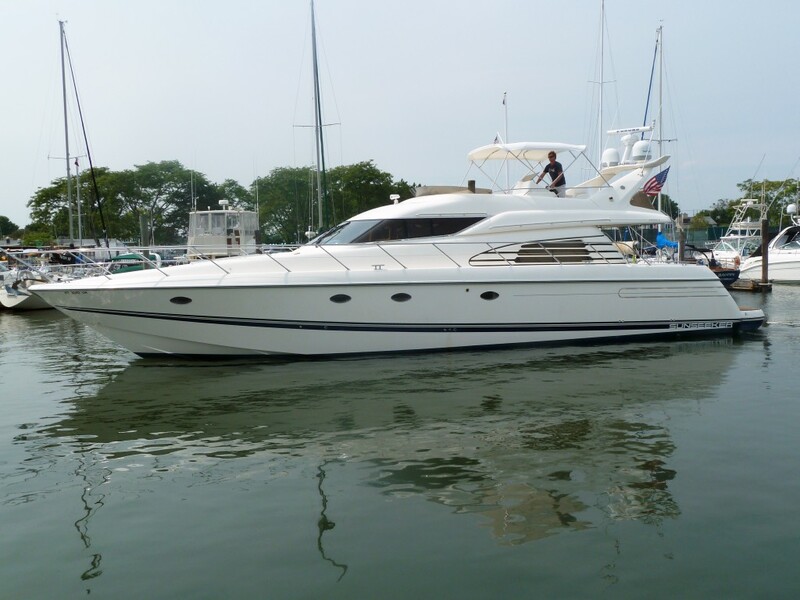 This yacht is perfect for any small party, birthdays, or a romantic occasion sailing across the Hudson. Here at Nautical Holiday, we guarantee you a unique and memorable charter experience for you and your guests. We ensure high quality service and professionalism. Contact us with any inquiries about your next charter trip – we will be glad to help accommodate anything you need. When you’re celebrating your birthday in New York there is only one truly luxurious way to do it: on a crewed charter yacht. We can provide any birthday essentials you may need from balloons to the cake. Your course can take place day or night. It’s our job to make sure your birthday as carefree as it should be. Enjoy traveling on New York’s only floating rooftop, a charter yacht. Whether you want to charter a party boat or yacht a private get together we can ensure you an incredible journey for you and your guests. Having a private charter means having staff at your disposal. Our professional staff and crew can set up an unbelievable charter experience. We provide catering, DJs, and decorations. Our charters cruise through the Hudson River giving you a unique look at the New York skyline. Whatever you may choose a nautical birthday will be extraordinary and memorable. We have many variations of yachts to choose from to match the perfect voyage. Currently we are featuring our boats that are built for speed. From intimate meetings to large gatherings your guests can enjoy the incredible panoramic views of the New York skyline on your charter. These boats were also built with luxury in mind, perfect for birthdays, engagements, and business parties. A great example one of our newly renovated yachts, Atlantica, features cocktail lounge is decorated with luxurious furniture and leather couches that convey not only beauty, but quality and comfort for any memorable event. The center hall grand stairway provides a unifying and timeless experience for your guests entering the dining salon which can comfortably seat 225 guests on the main deck. Our boats are specifically designed with comfort and style in mind. Modern amenities are on board to prepare you top-quality cuisine. You can customize everything on your charter to meet your needs. Our staff are highly trained and are here to make your charter unforgettable. This Labor Day is a holiday held in honor of those who work hard. We’ve all worked hard this summer, so why not celebrate that by planning something memorable and unique? Try spending your next holiday on a private charter yacht. Renting a charter is an extravagant alternative to a booze cruise or a sightseeing excursion. Yachts provide the ultimate tranquility matched high quality luxury. Located in New York, this offers an incredibly one-of-a-kind experience included with fantastic skyline views and top professional service. Whether you are celebrating with family and friends or looking for something private, nothing can compare to a New York Yacht Charter. We can help plan an amazing event on a variety of different yachts. Our highly trained staff look forward to helping you create an unforgettable event. Not only do we provide you with a spectacular yacht, we accommodate all other features and services including DJs and catering. Enjoy a selection from high quality gourmet caterers while enjoying music across the water. 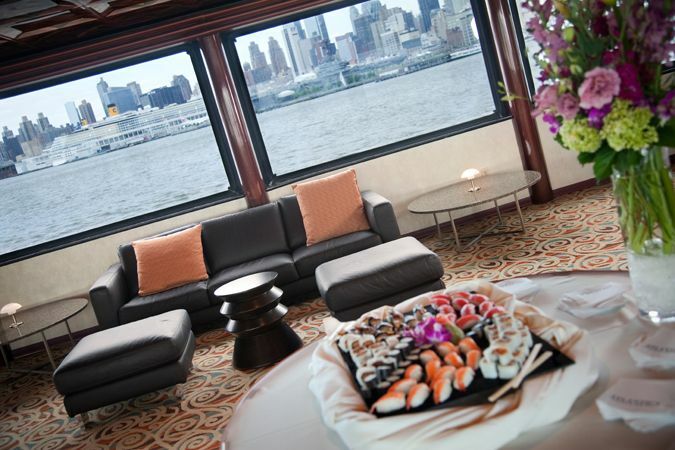 Have Your Next Event On A New York Yacht! Event planning can sometimes be a job within a job. That’s why Nautical Holidays is here to help you. We can help arrange everything necessary in order to give you and your guests a memorable charter experience. Seeing New York from a luxury yacht is a unique way to view the sights of this world-class city. 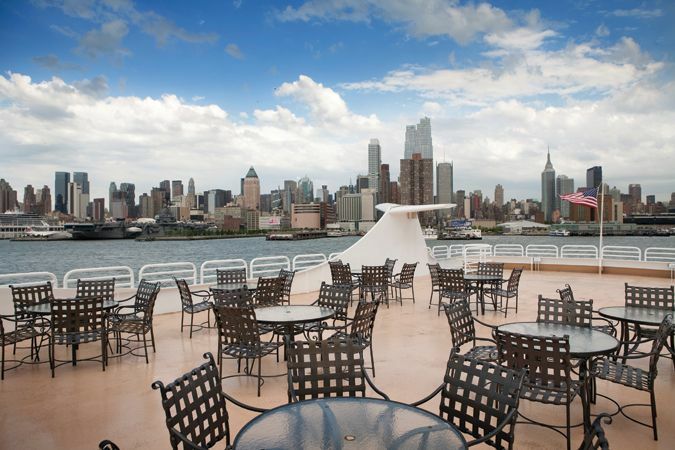 Imagine hosting your next event with a backdrop of the beautiful New York skyline! Our yachts can hold a range of guest sizes from one to 600. With spectacular views and various charter options you are ensured your event will be an extra special occasion. We can host any event such as bar/bat mitzvahs, birthdays, and any holiday party! Some events in life are too important to shrug off. Charter one of our excellently decorated yachts to provide a remarkable experience for your guests. Our New York charter yachts are designed with entertainment and luxury in mind. We keep you out of hectic street traffic and onto the open water. Day or night, a combination of the Manhattan skyline and a charter ship creates a truly one-of-a-kind charter that is as impressive as they get. 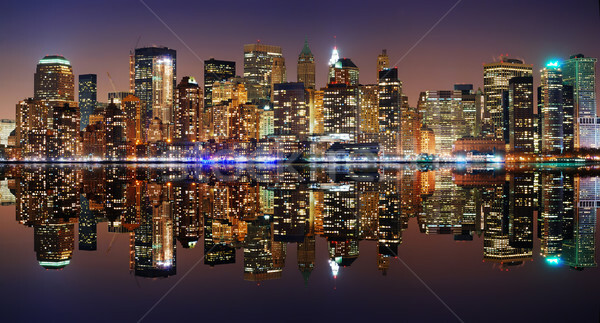 Nautical Holidays has the experience to give you the perfect event and the ultimate New York yacht charter experience.